Term life insurance is a temporary insurance contract between a person and an insurance company. The insurance policy stipulates that in return for payment to the insurance company, the contract will pay a specified death benefit if the named insured dies while the contract is in force. Term insurance contracts do not have any cash value, typically are not eligible to receive dividends, and will expire at some point in the future. A term insurance contract is also the least expensive type of life insurance coverage and it allows for the insured person to provide for their beneficiaries in an economical way. Typically, the low premium payments will be level through the guaranteed life of the policy and are guaranteed by the policy not to rise. The large size of the death benefit that an insured person is able to afford for the low cost of insurance makes term insurance coverage the most efficient type of life insurance policy to own. In fact, relatively healthy clients are often amazed at just how much coverage they can receive for so little payment. Keep in mind that term life insurance policies are only guaranteed for a set length of time, and if the insured outlives the length of the contract no death benefit will be paid. This is why term contracts are priced so inexpensively. This guaranteed period or “term” that a death benefit will be paid (only upon death of the insured) is the reason this kind of insurance policy is called “term life insurance”, Other permanent types of insurance contracts also exist such as whole life insurance and universal life insurance, which will never expire as long as all premium payments are made in a timely manner to the insurance company. Common lengths of term contracts are 10, 20, and 30 years, though other variations exist such as 5-year term, 15-year term, and term insurance until age 85. Sometimes, term insurance contracts allow the insured the right to have the coverage extended after the guaranteed period, but this can be at the discretion of the insurance company and the insurance cost will typically rise after the guaranteed period ends. Who Needs To Buy Term Life Insurance? Some people may need permanent life insurance coverage, but others may not. 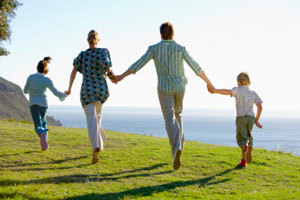 Term insurance is especially useful for those people that only need life insurance protection a short period of time. For instance, a family may only need life insurance coverage until their children graduate from college, or until a working member of the family retires and no longer needs to provide for the rest of the family beyond their existing retirement savings. Term insurance is also important for people who are on a budget but also require insurance. Examples may include a single parent who would need to provide for a child if they passed, a young family without a lot of discretionary income, or even business partners who want an inexpensive solution to providing “key man” life insurance protection for a business. Term life insurance is typically convertible. This means that at the end of the guaranteed period, the owner of the contract has the option to convert the life insurance coverage to a permanent whole life policy. This can be done without any additional underwriting or proof of insurability. The ability of term insurance to be converted to whole life insurance is another very powerful feature of a term insurance policy. To demonstrate an instance when this feature is especially valuable, let’s say a client takes out a $1,000,000, 30-year term insurance policy at age 35. The insured may be very healthy when he initially goes through the underwriting process and could be given a premier health rating and a low cost of insurance. Now let’s say at age 63 the insured has a heart attack and survives. Under the original term insurance contract, coverage will expire at age 65. If this hypothetical client did not have insurance coverage already in place and tried to obtain coverage after the heart attack, he/she will likely either be rejected any coverage whatsoever by the insurance company because of the perceived high risk of death or will be charged astronomical amounts for the policy. If the hypothetical family of the insured is not entitled to the death benefit of a life insurance policy and the hypothetical person passes away, they now are stuck paying for a very expensive burial process, paying taxes on the remaining estate, and dealing with maintaining their lifestyle and providing for their well being. Because term insurance is convertible, however, the family need not despair about lack of coverage. Even though the insured has a heart attack at age 63, with a term insurance policy in place he/she will not need to be approved for another contract by underwriting after the term insurance expires. The same $1,000,000 death benefit and premier underwriting rating can now be applied to a whole life policy. The insured can convert the term insurance to whole life insurance at the end of the contract and guarantee to his/her family that they will be safely provided for in the event of an untimely passing! The downside to not purchasing whole life at a younger age is that the premium cost will be calculated as if the whole life policy is taken out at age 65, and the annual cost to be insured will be higher than if the insured took out the same policy at age 35. Nonetheless, the guaranteed insurability after contract expiration and much lower relative cost of insurance are powerful reasons to consider purchasing term insurance. Whether it is whole life or term insurance you choose, having life insurance coverage in place to provide for your family in the event of an untimely death is crucial to planning and guaranteeing your family’s safest future.